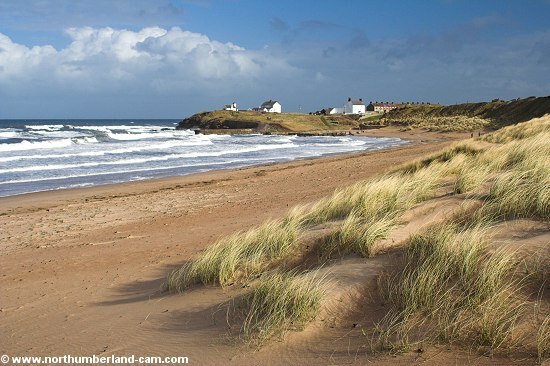 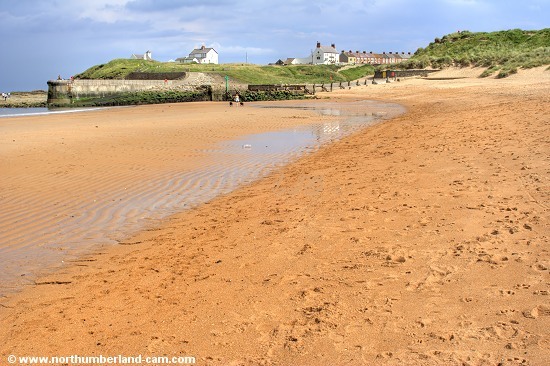 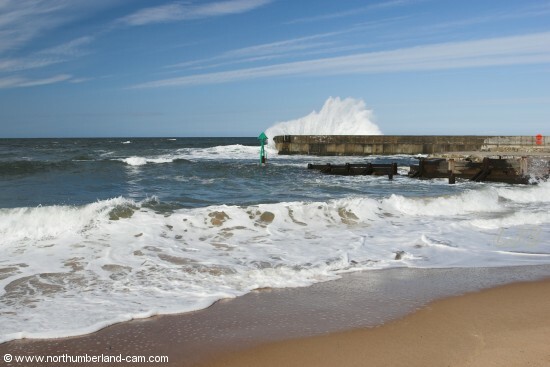 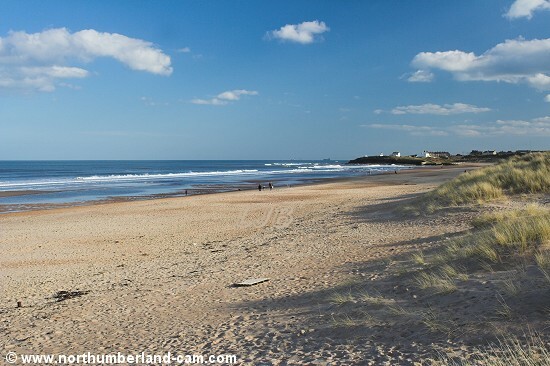 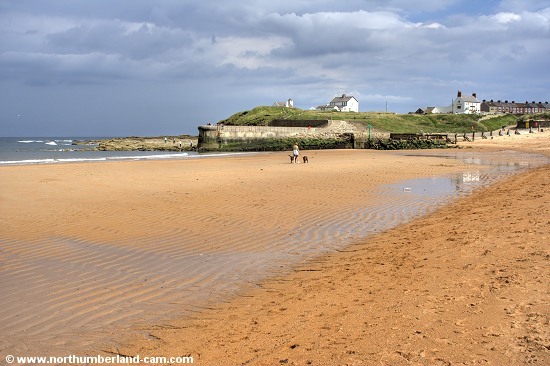 The beach at Seaton Sluice on the north side of the harbour is a huge expanse of deep golden sands that merges into Blyth South Beach. 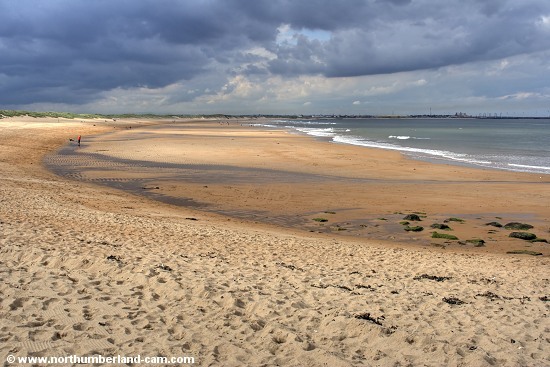 Like Blyth South Beach it is very popular with all types of visitors all year round. 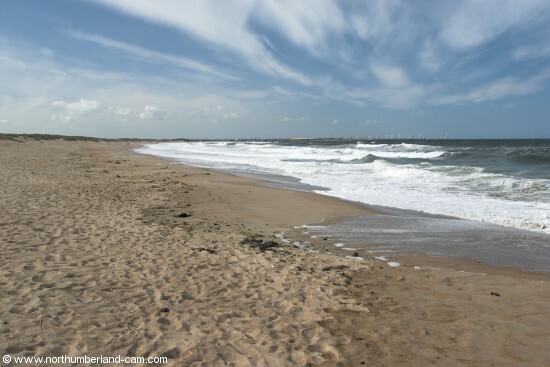 The beach is well served with parking areas that make visiting easy. 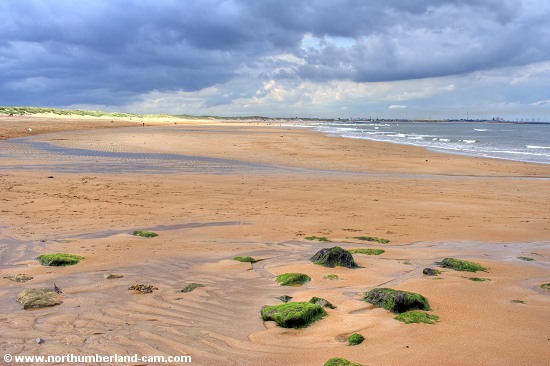 One of the best beaches to be found anywhere. 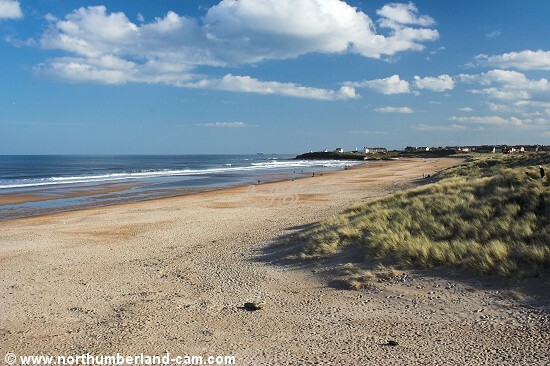 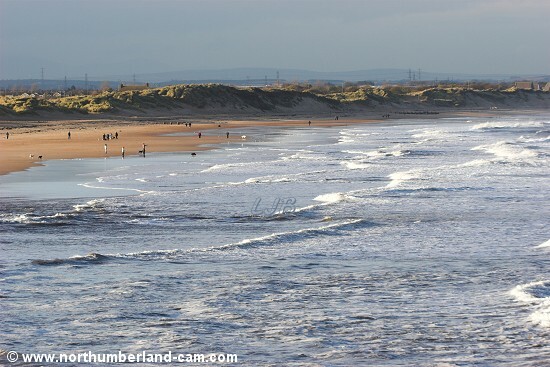 Seaton Sluice Beach seen from the dunes on a sunny late winter day. 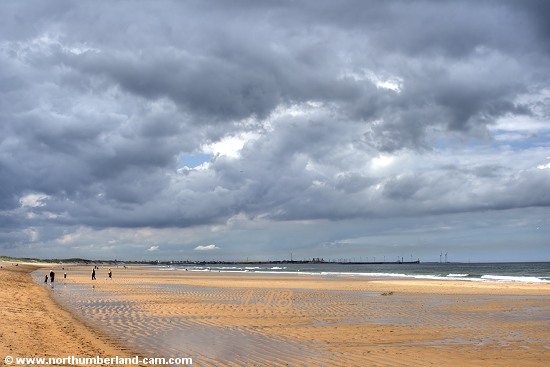 View north along the beach at Seaton Sluice towards Blyth on a cloudy summer day. 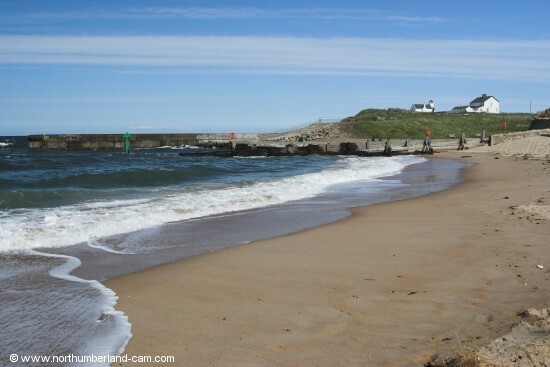 View of the beach and harbour entrance. 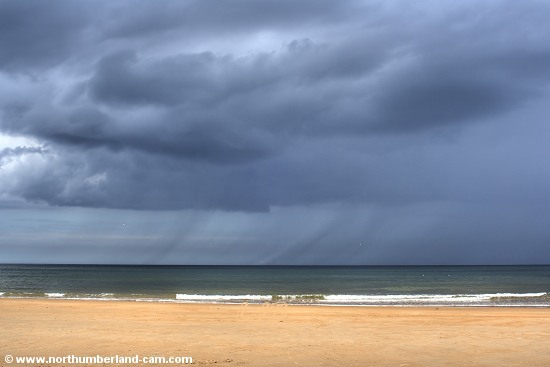 A summer rain shower approaching from the sea. 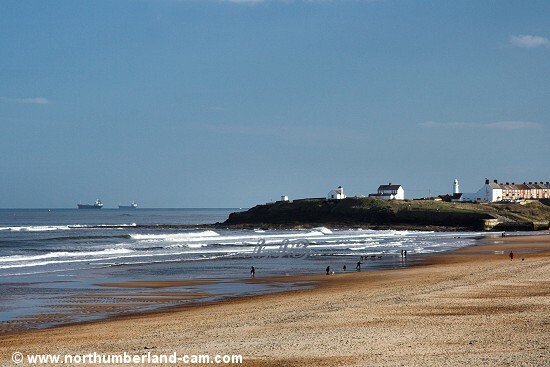 View along the beach from Seaton Sluice harbour entrance. 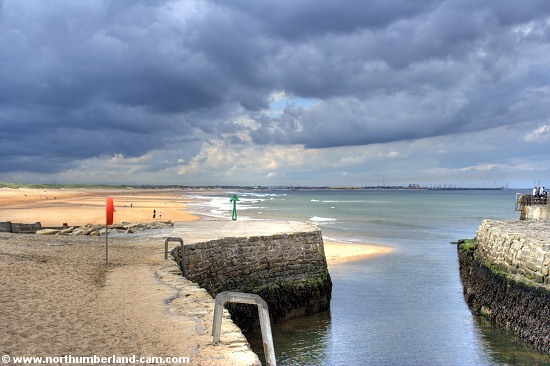 The harbour entrance on a stormy day. 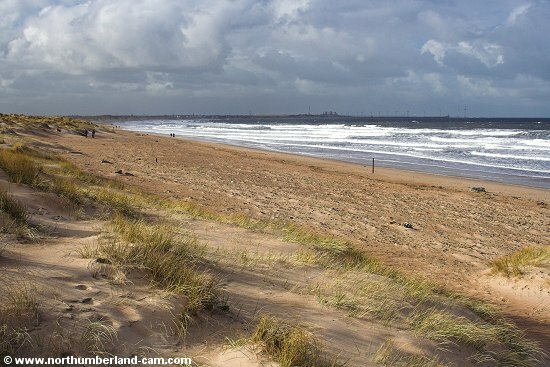 The beach on a windy evening in spring. 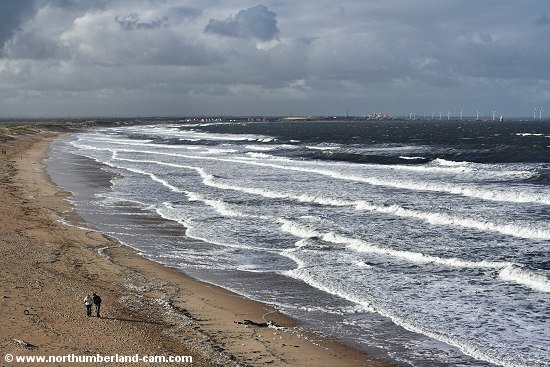 Views of the beach on a very windy day in April. 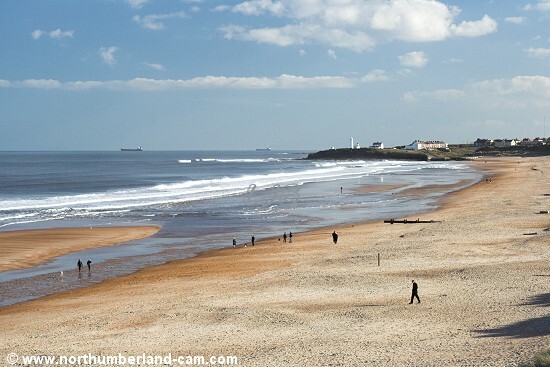 View of the beach from the headland above the harbour on a cold November day.